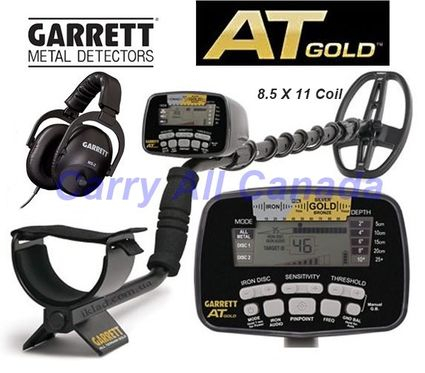 Garrett has designed the coil on this “AT” gold detector to reach up to ten feet deep in water and has a 8.5″ by 11″ double D search coil. This Garrett AT gold is not only limited to gold but has several option to help you find treasures such as coins, jewelery, relics, and any other metal items under water or out on the soft beach sand. Not recommended for salt water or surf hunting.